I’m a huge fan of eating wild game for many reasons. First, I grew up on it so its what I’m used to. Second, it’s incredibly healthy for you! People often wonder what’s in my freezer - I can promise you that on any given day there’s no telling what kind of wild game assortment you would find! He is truly one of the best chefs I’ve ever met and is an expert in cooking various wild game. He has tons of great recipes for all your common big game, but I really love going through some of his recipes for things you may not eat everyday. 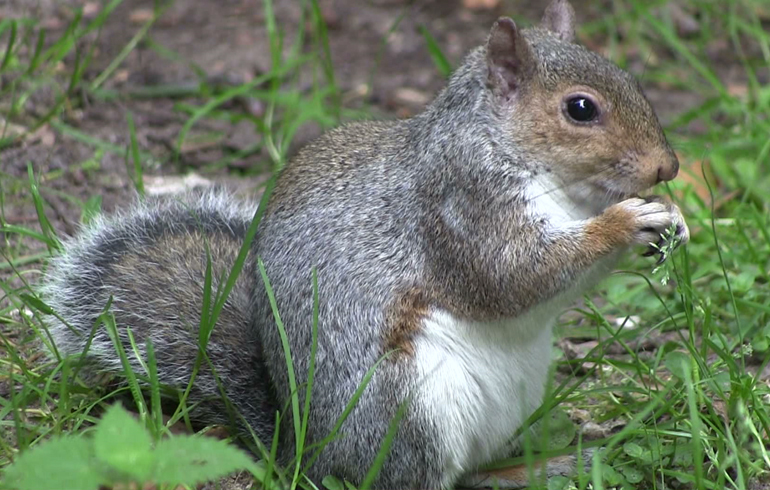 With the addition of Pork Chop, squirrel hunting has become a popular thing to do in our spare time. What I love about this is the fact that there are no other hunting seasons open during the summer months and it’s fun to get out, do a little walking and enjoy the day. There are many different options when it comes to what caliber you may want to use on squirrels, but I really like the 17 WSM. It’s a rimfire so you get all the advantages of the lower cost, yet it is super deadly and fast! Winchester even came out with a 17 WSM in Lead Free as well so you’re all set for whatever state you may want to hunt. Just ensure you check your local regulations on the squirrel seasons as each state is different. When it comes to squirrel hunting, not only am I getting some exercise, having fun with Pork Chop, and practicing my shooting, I’m also filling my freezer! 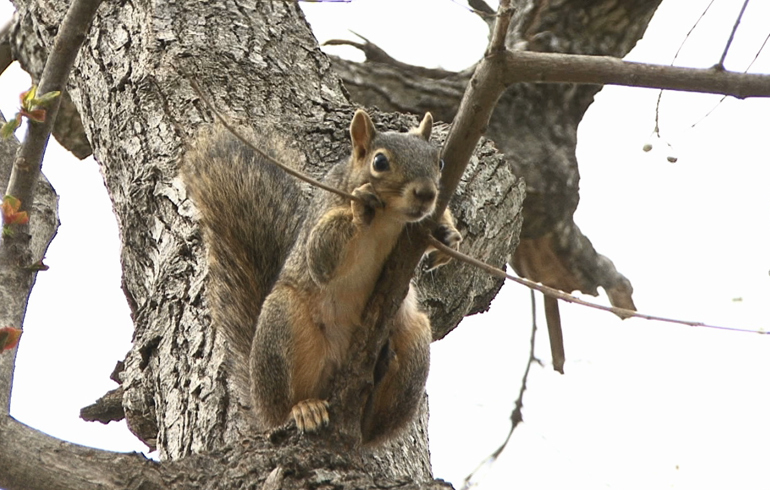 Some may wonder if people really eat squirrel and the answer is yes! Just like anything you want to ensure you have a good recipe and take care of your game immediately, especially during the warm summer months! 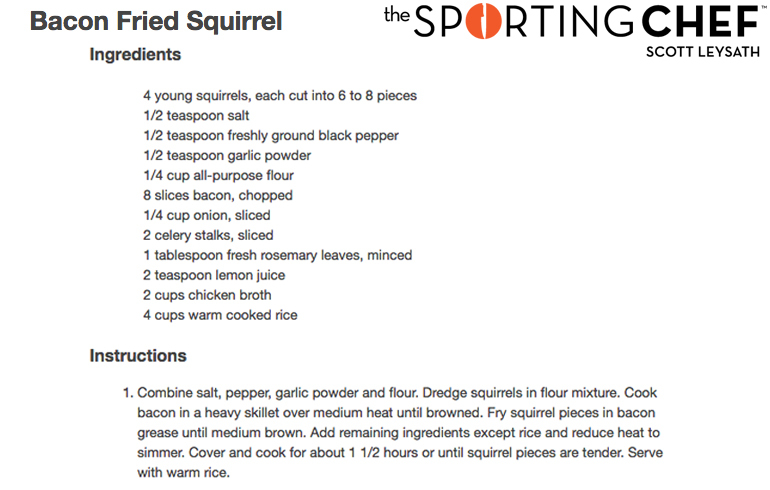 As far as a good recipe, I went to Scott’s website and found one called Bacon Fried Squirrel. How on earth could anyone go wrong with this one? So if you and the family are looking for a fun day outside, grab a box of Winchester rimfire ammunition and hit the countryside in search of squirrels!